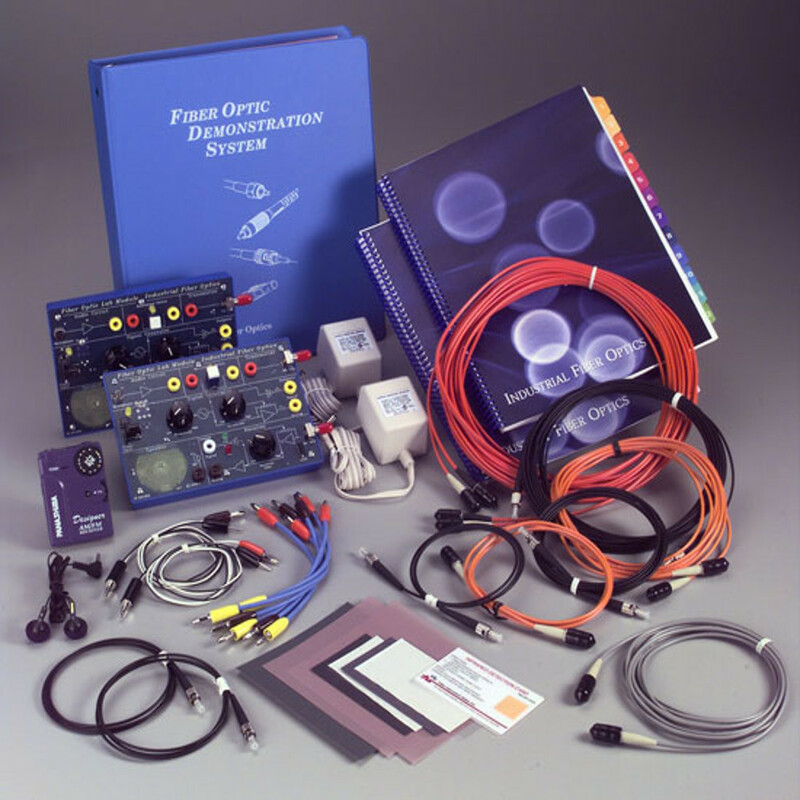 The Fiber Optic Demonstration System is Industrial Fiber Optics' introductory fiber optic technology module. This tried and proven academic module comes complete and ready to use. All an instructor needs is a classroom and students. This curriculum recently has been revised and rewritten to include the very latest in the rapidly changing fiber technology field. The curriculum is a full-color manual that is precisely formatted into 10 independent activities in 144 pages with more than 60 real-world illustrations and industry photos. 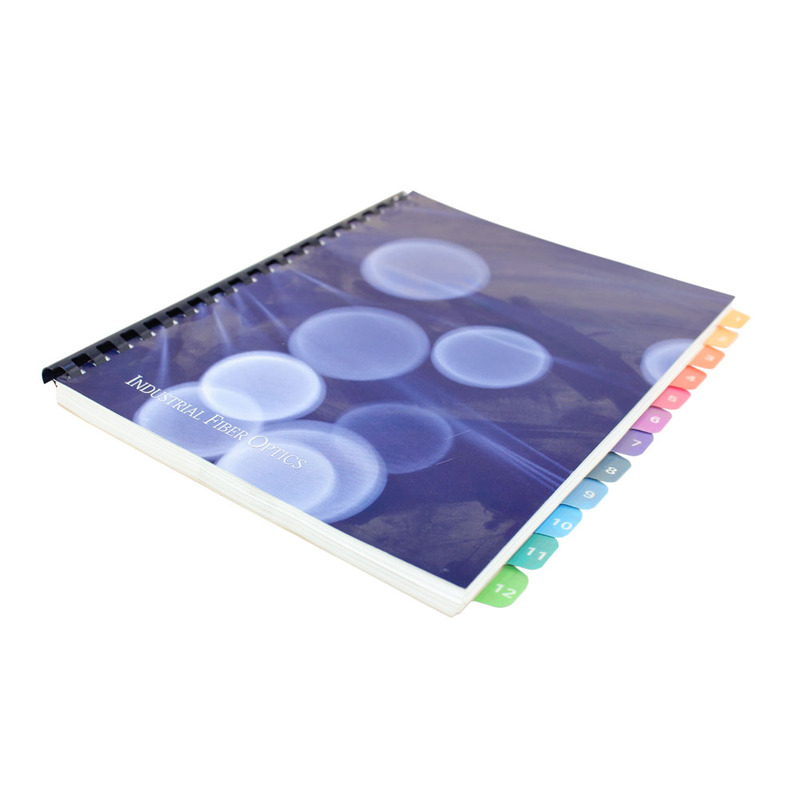 An extensive list of references and a working glossary of fiber optic terms is included. (The Demonstration System is available in glass and plastic fiber models and comes complete with the following items: two fiber optic analog/digital transceivers, eight fiber lengths 1 to 10 meters, 40 µm and 3 µm polishing film, 110 VAC-to-12 VDC power adapters*, color-coded electrical interconnecting leads, AM/FM radio, sensor reflection and indicator cards, two permanently bound student manuals, instructor¹s manual in a sturdy 3-ring binder with answer sheets.) *220 VAC adapters will be furnished upon request. Suitable for grades 7 through 12 Our plastic fiber model utilizes inexpensive connector-less fiber design. The customized inter-connecting system with 1000 µm plastic fiber and red visible LEDs is ideal for educational purposes.